The Bunny\'s insulation is completely encapsulated within rubber to assure it always stays dry and maintains maximum insulation properties. While being an excellent Extreme cold weather boot, the Bunny boot is also NBC resistant (more than 75 minutes for mustard / 100 minutes for GB). 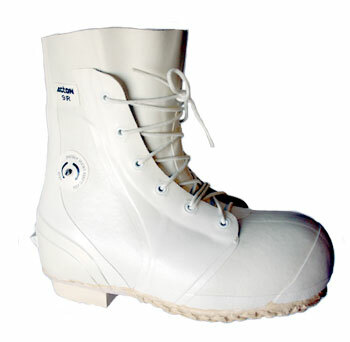 The Bunny boot is available in white color, with or wihout air-valve (for use during high altitude activities) comes in three widths, size 3 through 14 and is compatible with NATO ski bindings, crampons and snow shoes. All rights reserver Safety Source USA.